IPS for everyone. 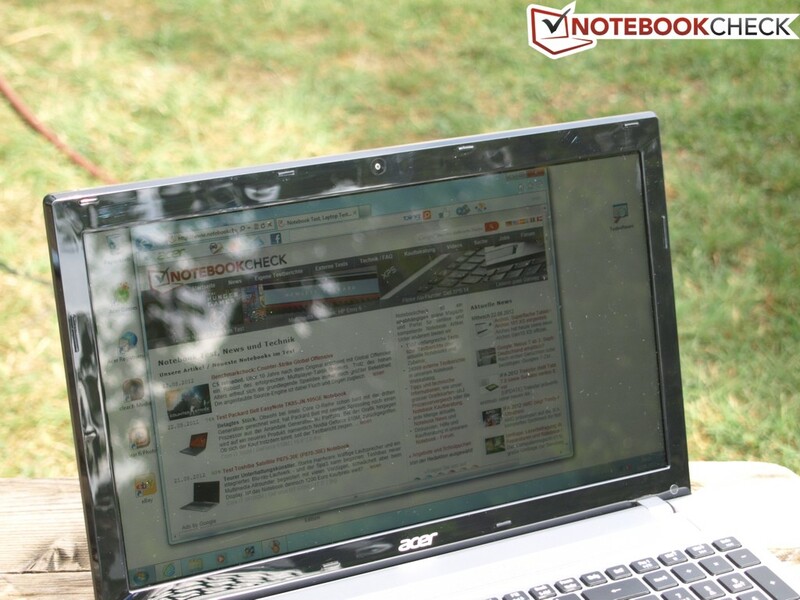 It is like witchcraft: Reviewers and readers have complained about poor TN panels in Acer's multimedia notebooks for years. Now we review a 650 Euros (~$848) model with a downright fantastic Full HD IPS display, which is even matte. Should you buy before it's gone? 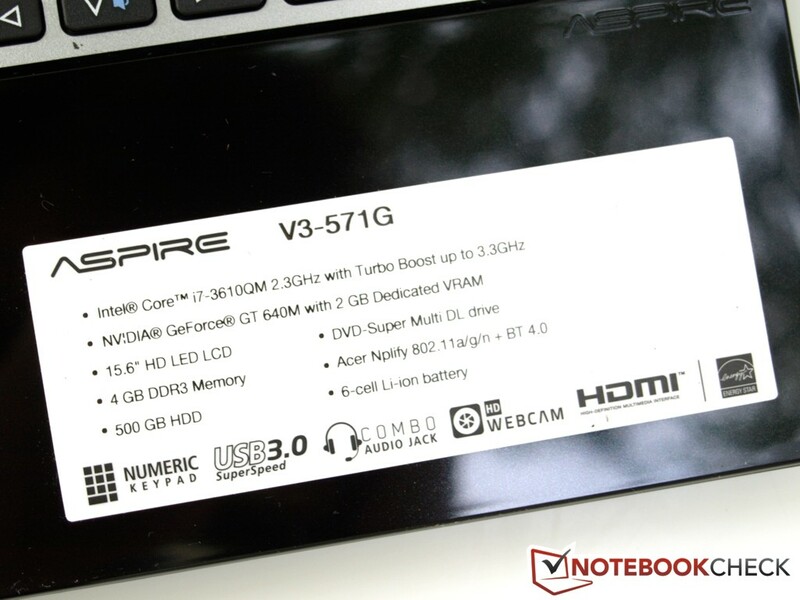 Aspire V3-571G-53214G50Maii: IPS display by Acer - the most surprising display of the year? Whoever is looking for an affordable 15.6-incher (below 800 Euros (~$1044)) with Full HD resolution will come across numerous devices from Dell, MSI, Asus, and a few from Sony, Lenovo, and Medion. The list shrinks dramatically if you ignore laptops without dedicated graphics or with relatively weak solutions (e.g. Dell's Vostro 3560, i7, HD 7670M or Asus' N56VJ-S4045H, i5, GT 635M). 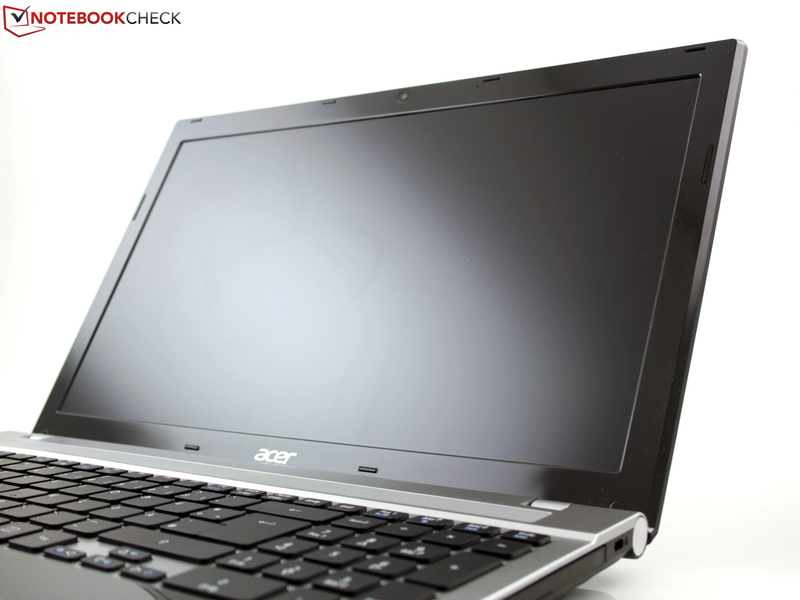 The Acer Aspire V3-571G-53214G50Maii comes with a matte Full HD display and powerful gaming hardware (Kepler). 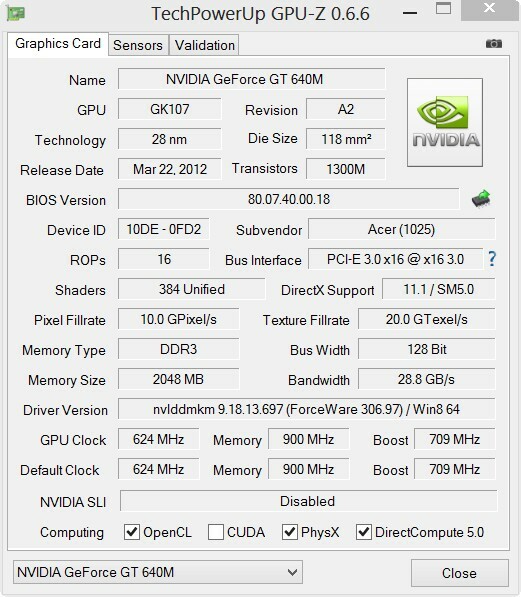 Our test sample is equipped with a GeForce GT 640M. Its successor the GT 730M is already available too (V3-571G-53238G1TMaii, 799 Euros (~$1043)). Apparently, sales of the GT 640M has begun and our test model currently costs about 630-650 Euros (~$822-848) and is at least 100 Euros (~$131) cheaper than the mentioned competition. Should you buy, before it is sold out? 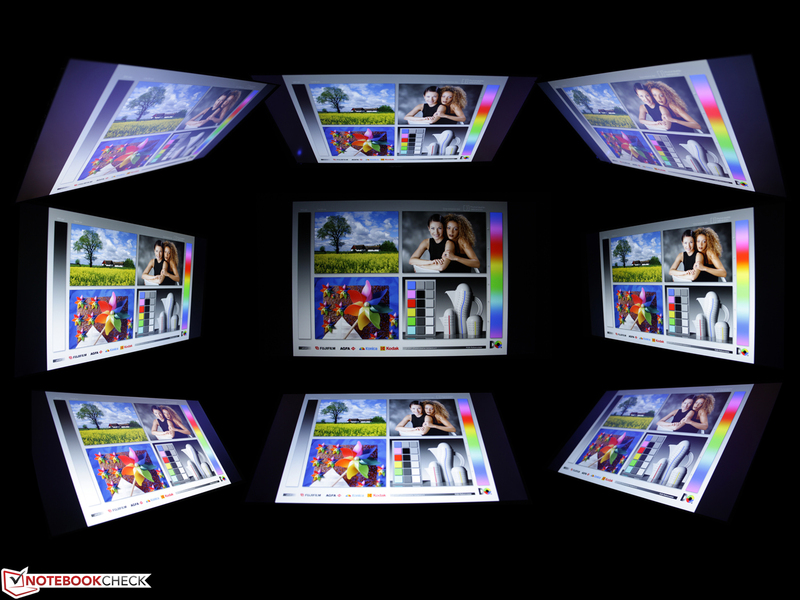 In this test we scrutinize the new Full HD display. The following tests of performance, gaming performance, and ergonomics are obligatory. Of course, we also check the battery life. 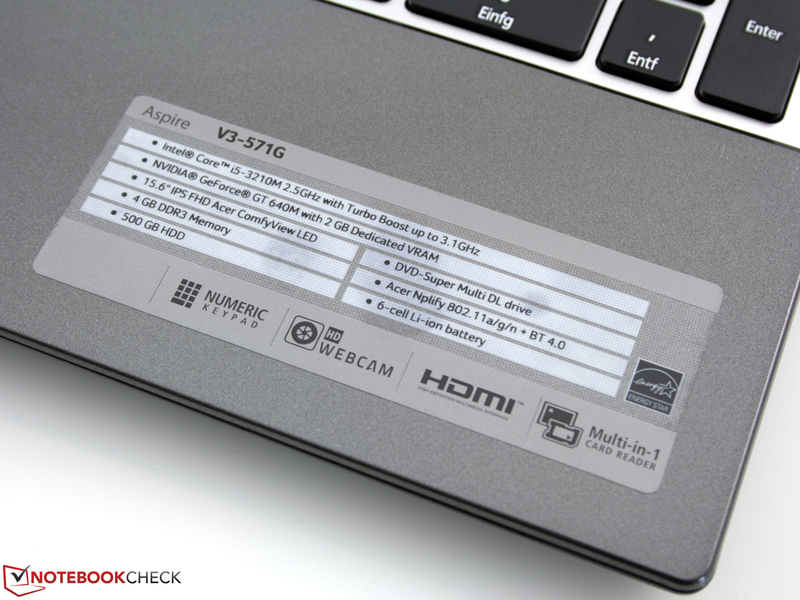 We already reviewed the V3-571G (HD panel) in August 2012. Therefore, we skip the sections about case, connectivity, and input device. If you want to know more about these, please refer to our review of the Aspire V3-571G-73614G50Makk (TN HD Panel 1366x768). It is not easy to select comparable contenders with FHD displays. 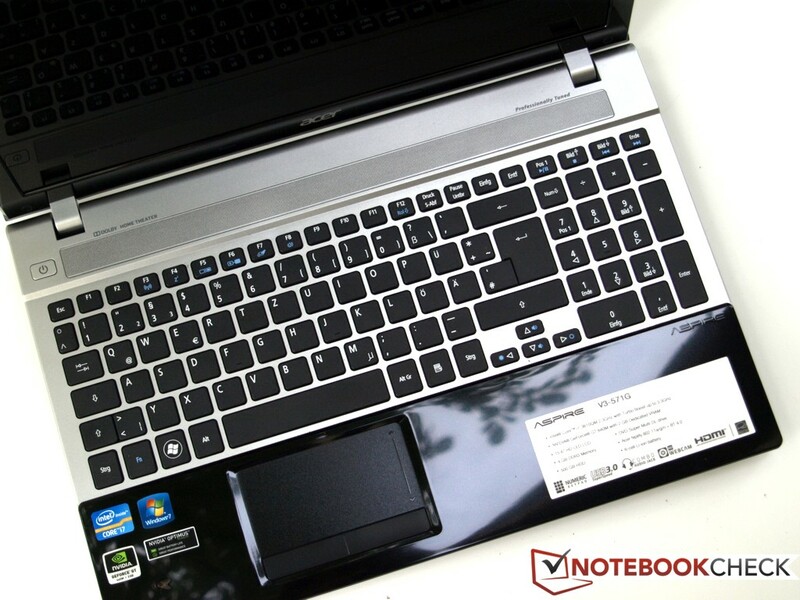 We reviewed all of the laptops listed below, but not the FHD model of each. Therefore, we compare our test sample to Dell's Inspiron 15R SE (matte FHD) and Lenovo's IdeaPad Y500 (glossy FHD). Instead of 1366x768 pixels our Aspire V3 comes with a resolution of 1920x1080 pixels. It features a high-end IPS panel (in-plane switching), which usually feature significantly wider viewing angles than the TN-types (Twisted Nematics) typically used by Acer in this price category. Apparently, Acer departs from the strategy to equip all notebooks (except the top model S7-391) with the same poor TN panels. In the past, we often came across otherwise totally convincing laptops, which were ruled out because of their poor displays, e.g. the Timeline Ultra M3-581TG or the Aspire S5-391. The latter currently costs 1,500 Euros (~$1957)! All the more surprising our test model is currently available for 650 Euros (~$848) in online shops. The Full HD display stems from the LG Display (LP156WF4 SPB1). To date, Acer nearly always used AUO and sometimes LG Phillips displays. The chance paid off: The matte display is not only above-average brightness (278 cd/m²), but also features a very high contrast of 1,043:1. The latter is nearly on par with the high-end panel (S-IPS+) in Asus' VivoTab TF810C Convertible (1229:1). 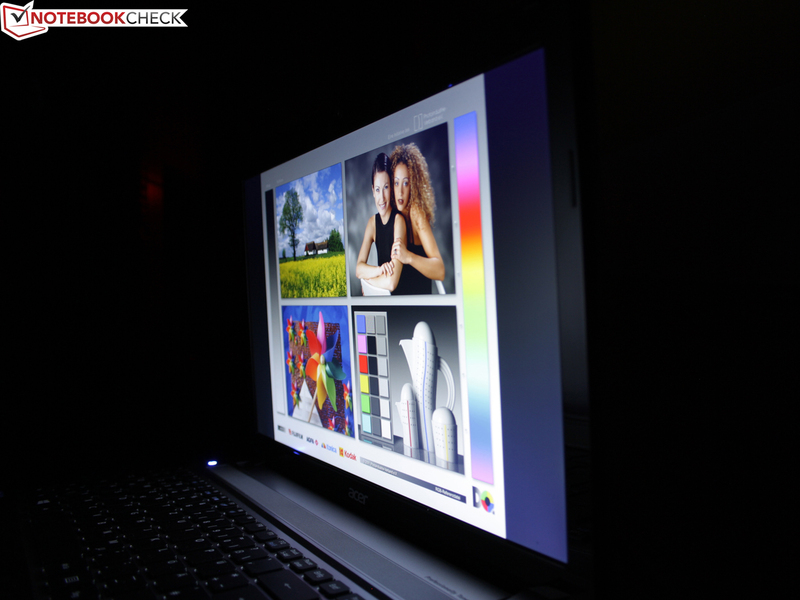 The V3-571G's predecessor just achieved 132:1 and a moderate brightness of 198 cd/m² (LG Phillips LP156WH4-TLA1). 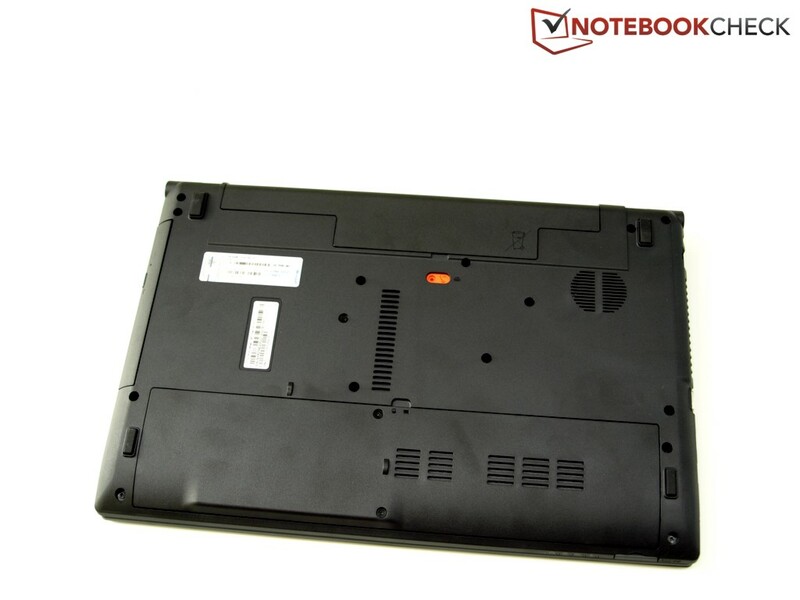 The competition, Lenovo's IdeaPad Y500 (459:1 LG Philips LP156WF1-TLC1) and the Inspiron 15R SE (AU Optronics B156HW2, 533:1) do not perform better than our test device in this aspect. 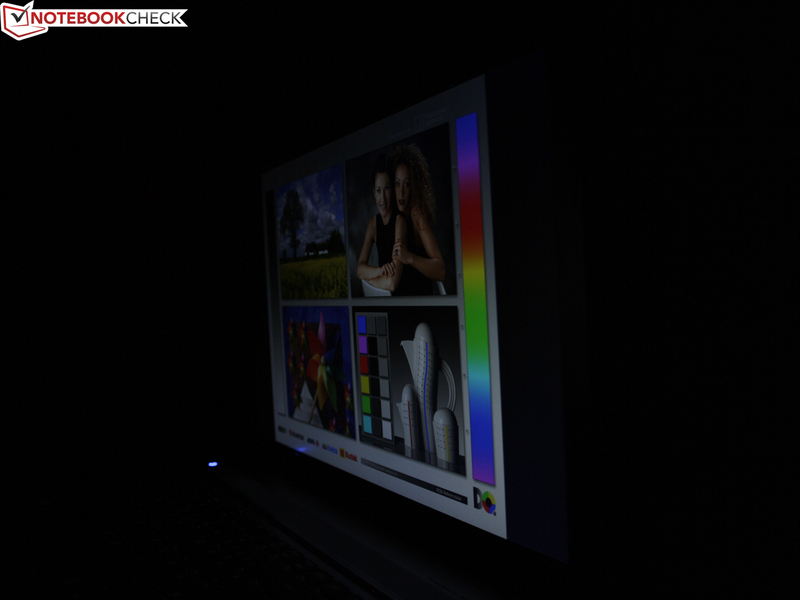 The brightness distribution of 82% seems to be uneven, but brighter areas cannot be detected on a black background. The colors look crisp and fresh and black appears deep. Does the color space of the FHD panel also suffice professional graphic tasks? While the display significantly misses sRGB, it offers exceptionally high color fidelity in magenta (pink). An analysis is available below (CalMAN figures). 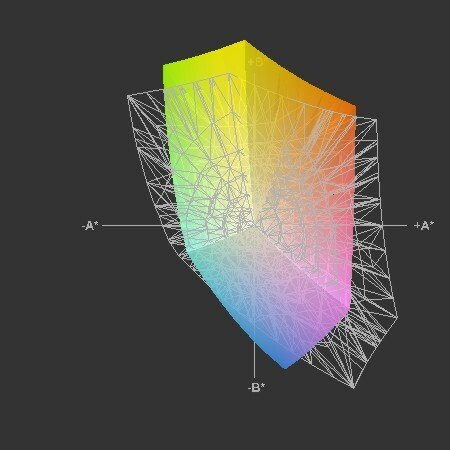 The predecessor model with HD panel has a nearly identical color space (figure 4). The FHD display of the Lenovo IdeaPad Y500 performs better in terms of sRGB coverage, while the Inspiron 15R SE with its AU Optronics B156HW2 is about on par with our test model. Therefore, the Aspire V3 is not appropriate for professional graphic designers, who require high color fidelity. Nevertheless, the high resolution, the matte surface and the high contrast allow comfortable work with all office programs and in CAD environments. Games should be mentioned here, too. It is fun to run these on a display with crisp colors. In "Gaming performance", we will clarify if the GT 640M is actually able to run current titles in Full HD resolution. The following figures depict the color analysis from the i1 Pro 2 photo spectrometer. In factory state, we detect weaknesses in gray levels, which do not improve after calibration. The average DeltaE (2000) remains at 8. 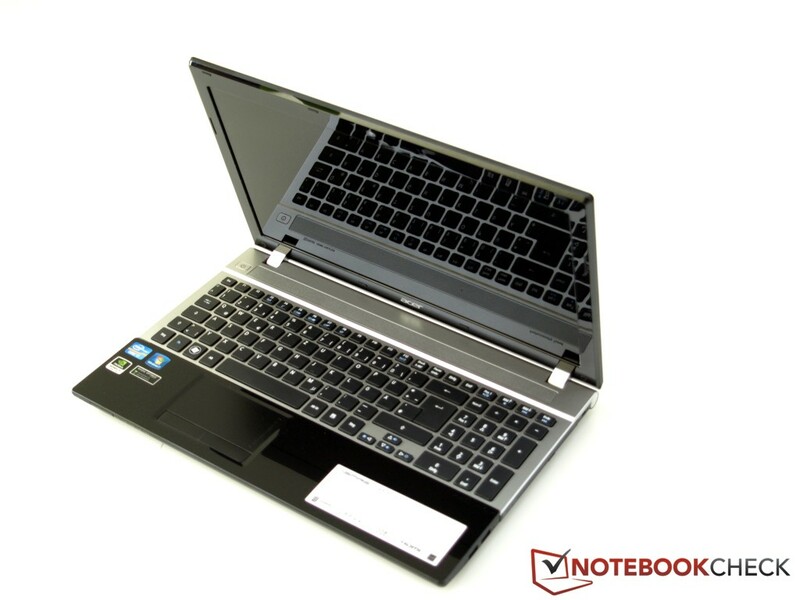 It is striking that white is with 6,562 K close to the ideal of 6,500 K. Most notebook displays look too cool, e.g. Toshiba's R930 with 9,097 K. The IPS display of Asus' UX31A (non-touch screen) tends to the opposite extreme with 5,500 K. In addition, colors are not bluish and look warm on the V3's FHD panel. 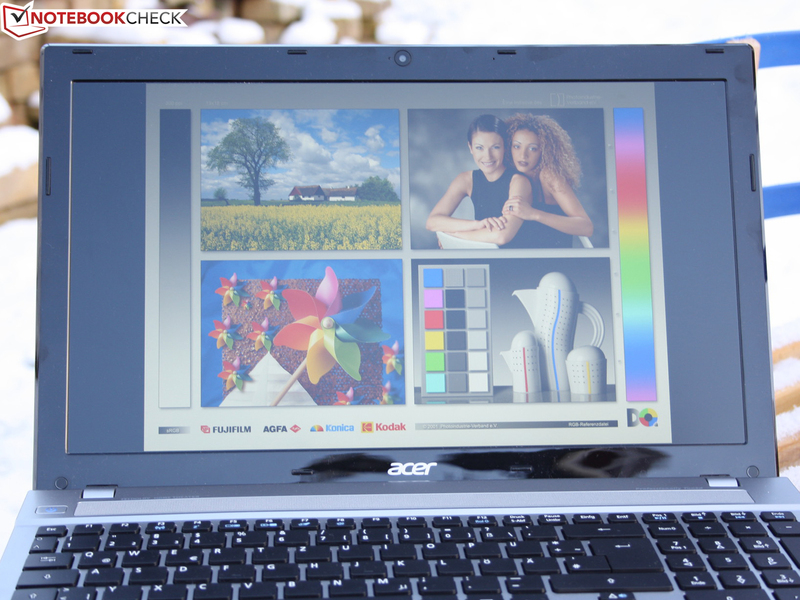 The color precision is rather good for a notebook, but far from perfect. After calibration, green, blue and magenta exceed a DeltaE of 5, the level a trained human eye can detect wrong color representations. 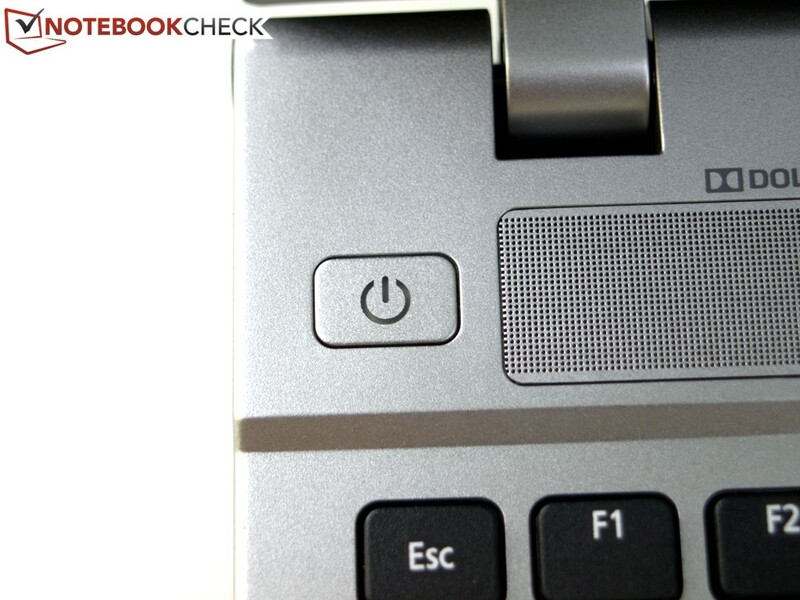 The displays of the LifeBook T902 Convertible (touchscreen) and the Asus VivoBook TF810C perform better in this aspect. 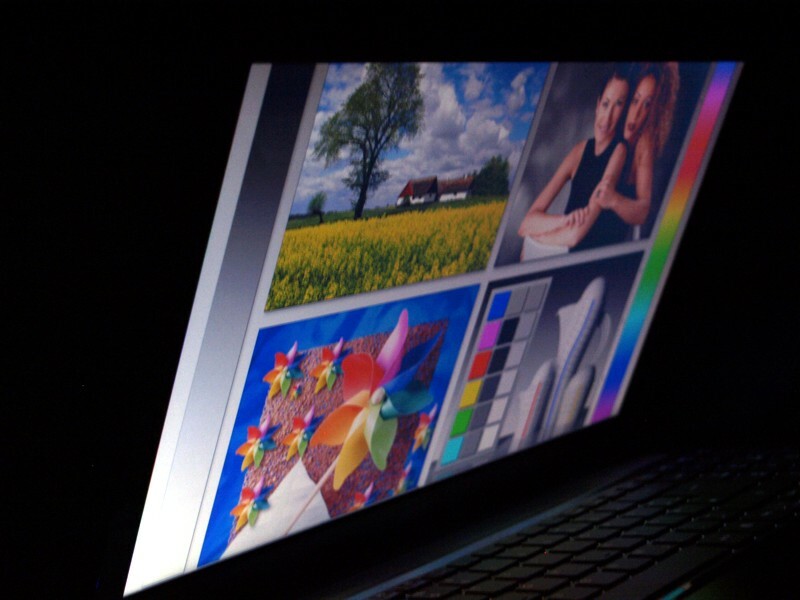 Thanks to high brightness and matte display there are nearly no limitations to outdoor use. Even direct light (from the front) does not spoil the stable image (from the side!). The image only gets unrecognizable when viewed from very oblique positions. 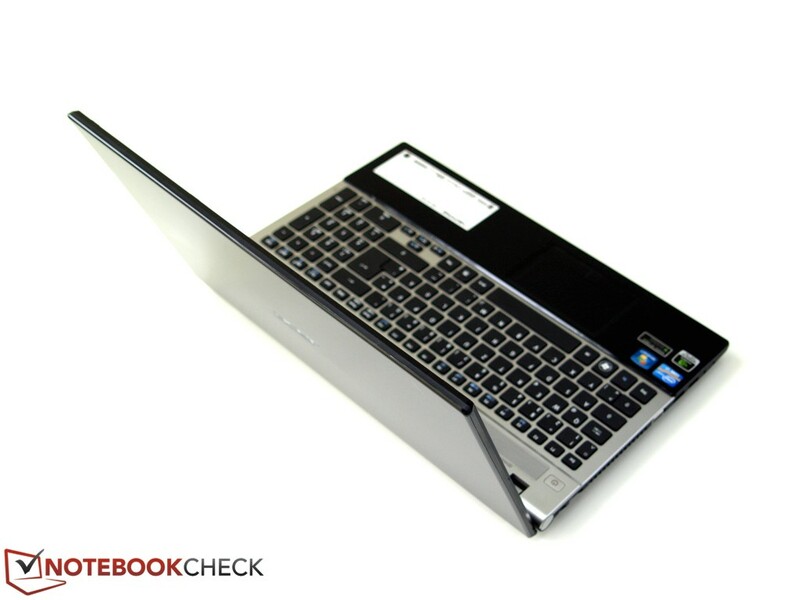 The brightnesses of our test model, Dell's Inspiron 15R SE (278) and Lenovo's IdeaPad Y500 (259) are decent. 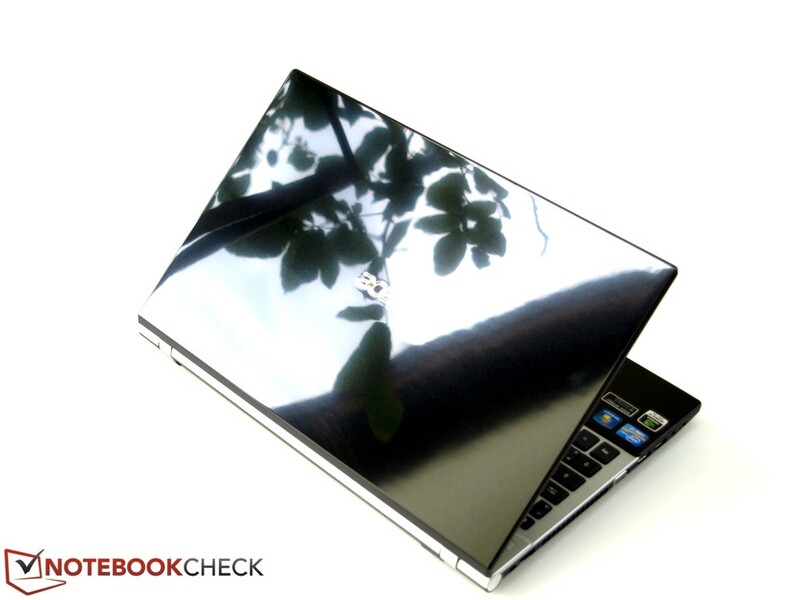 But, the glossy-type display of the Lenovo has a negative impact. We appreciate the viewing angles of the display. They are about 85 degrees in the horizontal and vertical direction. This is usual for IPS panels. Typical TN panels (e.g. 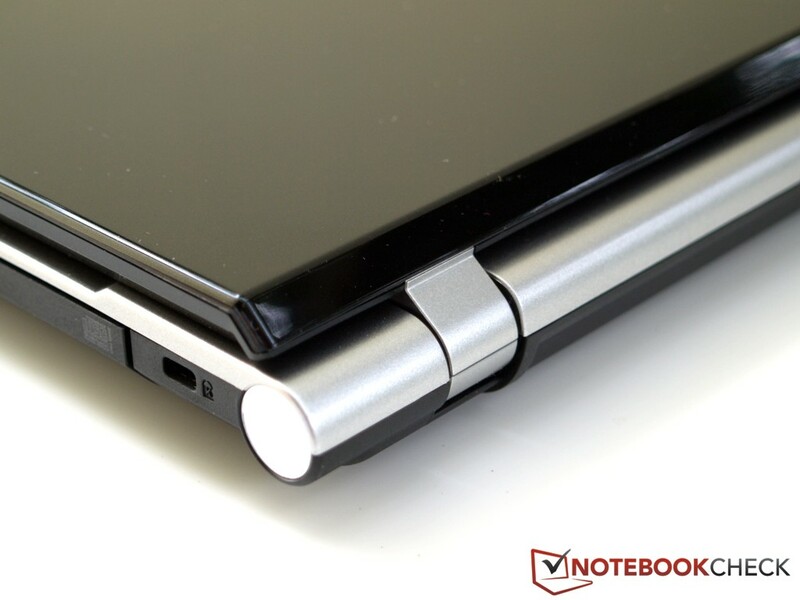 Aspire S5-391) do not exceed 45 degrees in horizontal and 15 degrees in the vertical direction. 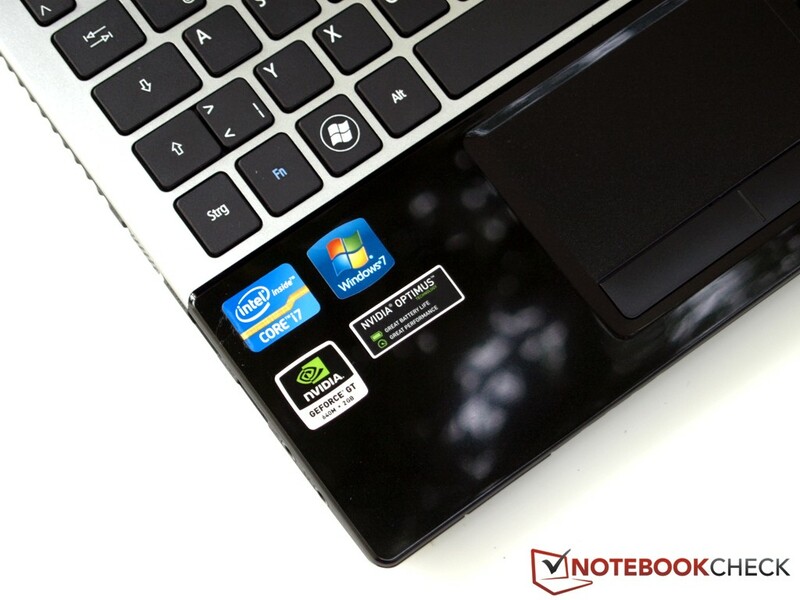 Its FHD competitors, the Y500 and the Inspiron 15R SE, are outperformed by our test model. Although their viewing angles are not poor in general (very stable in the horizontal direction), you will observe ghosting sooner than on our Aspire V3-571G's IPS display in the vertical direction. The quality of Full HD displays can definitely be quite different. Our V3 test model is ideal for several persons watching a film. Currently, four different Aspire V3-571G models are available: with Core i5-3210M (2x 2.50 GHz) dual-core CPU (test model), with i7-3630QM (4x 2.40 GHz) or with i7-3632QM (4x 2.20 GHz). The 550 Euros (~$718) V3-571G-53214G50Makk is equipped with the i5-3210M, but only features a GeForce GT 630M and an HD display. We think that a surcharge of 100 Euros (~$131) is fair for an FHD panel and a significantly faster GT 640M. 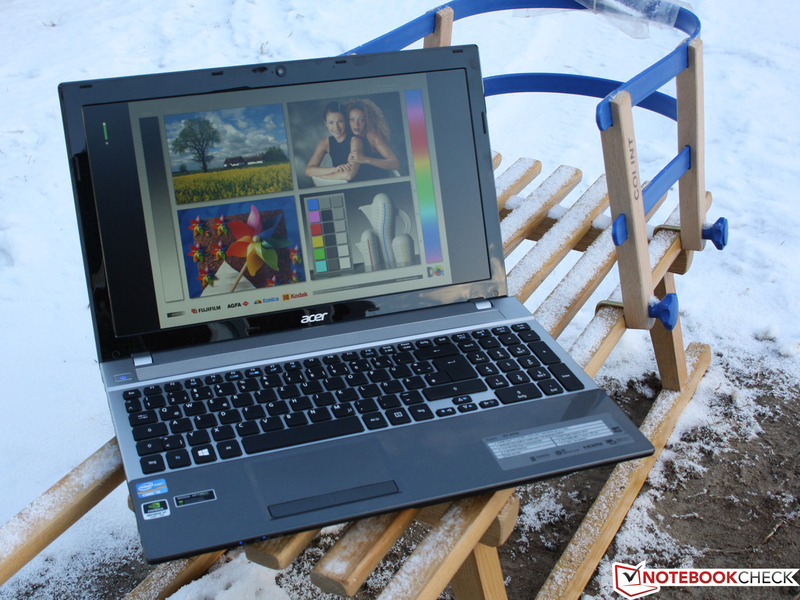 The first Aspire V3 (HD, GT 640M) was equipped with Intel's Core i7-3610QM (4x 2.3 GHz). Our test model is also already available with the new GT 730M for 799 Euros (~$1043). 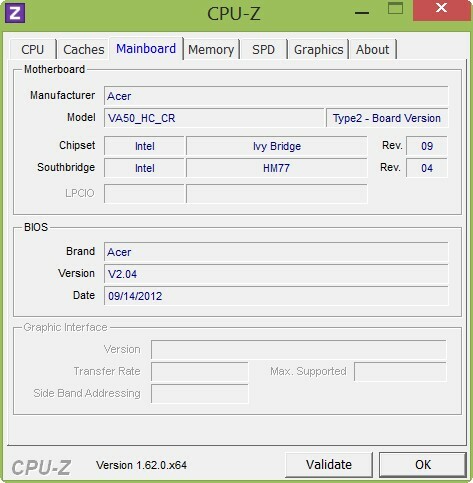 The Ivy Bridge CPU can clock with up to 3.1 GHz (@single-core load) in theory if the cooling system is efficient. Our V3 uses a Hitachi Travelstar Z5K500 (HTS545050A7E380) with a gross capacity of 500 GB. 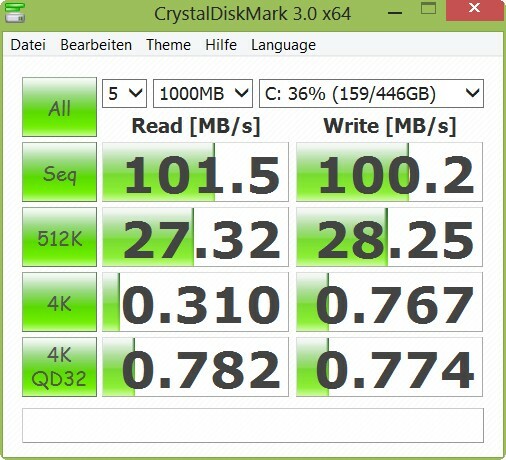 The 5400 rpm HDD belongs in the slowest hard drive category. More information is available in the following analysis. 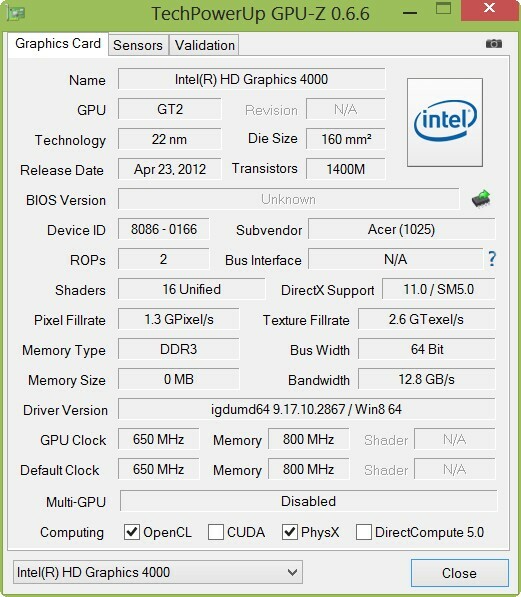 The GeForce GT 640M with DDR3 memory (2,048 MB) is a mid-range GPU of the Kepler architecture from 2012. 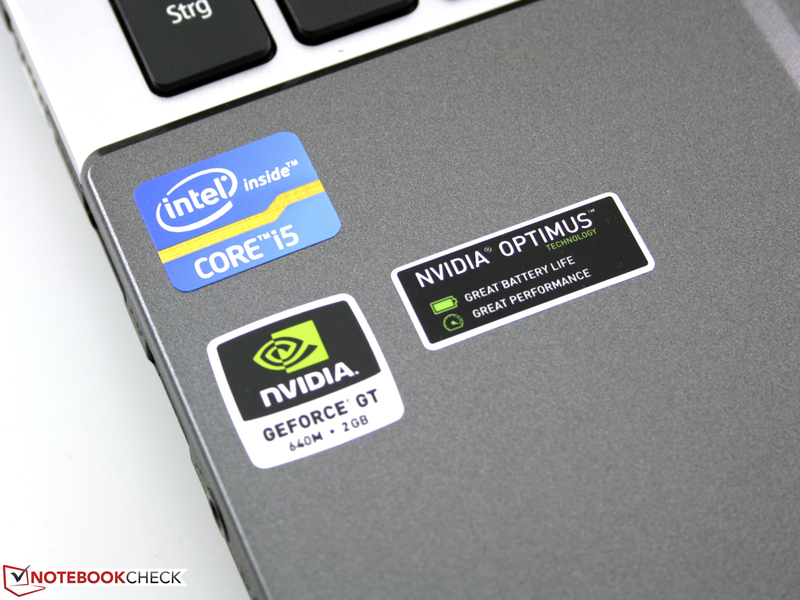 Optimus allows switching between Intel HD Graphics 4000 and GeForce. More precisely the HD 4000 always remains active, while the GeForce is additionally turned on if more performance is needed as the latter uses the image buffer of the Intel HD for output. Therefore, the display does not flicker or turn black when the graphics card is switched and switching is transparent to the user. Would it be worthwhile to select one of the bigger quad-cores? 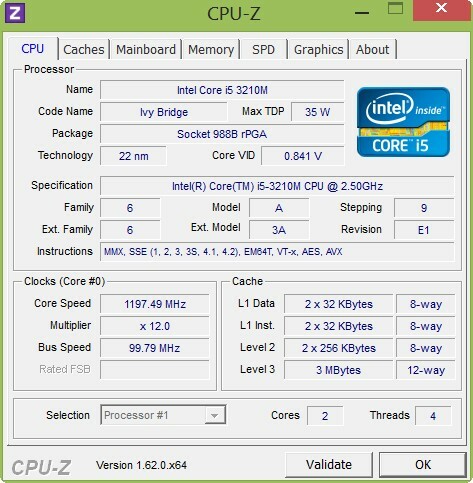 We compare the i5-3210M (2.5 - 3.1 GHz) to test models equipped with the i7-3630QM. However, we did not have the 3632QM in review yet. Furthermore, we mention competitors of comparable type and price, which are at least optionally available with an FHD display. Our 3210M is about 110 to 117% slower (2.86 points) than a 3610QM quad-core (MSI GE 60 and Akoya P6815) in the Cinebench R11.5 multi test. The 3630QM is hardly faster than the latter with +119%. This is not surprising as the nominal clock is only 100 MHz higher. 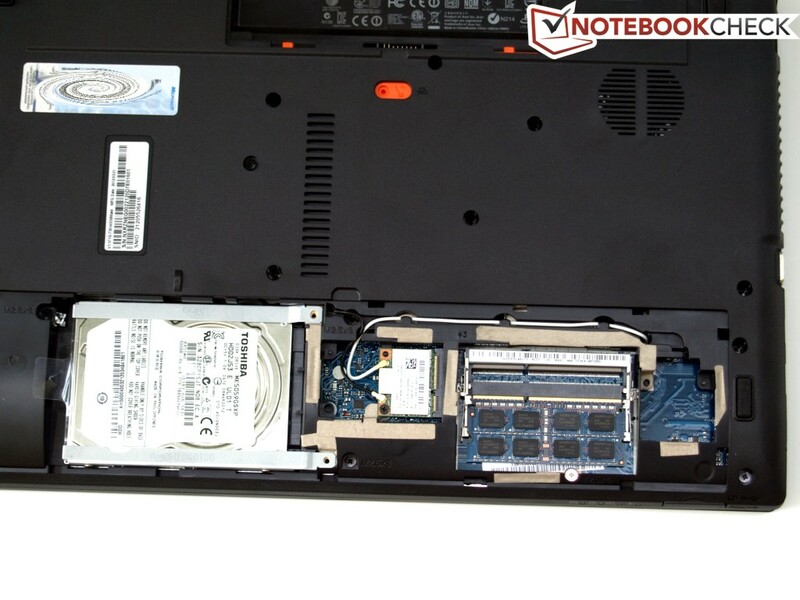 As the IdeaPad Y580's results prove our 3210M reaches the typical performance level of this i5 processor. Cooling works decently. 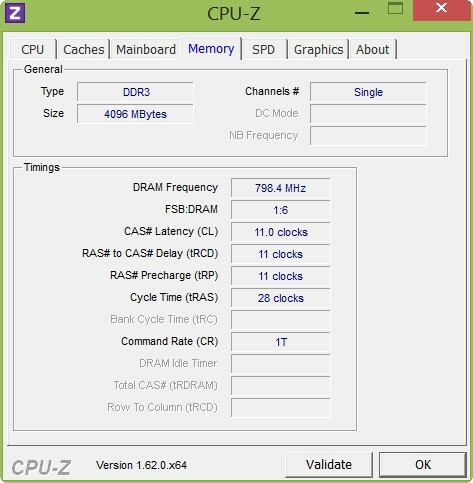 During the Cinebench multi tests, the test model constantly clocks at 2.9 GHz. The same is true in single-core tests: No signs of thermal throttling. The performance on battery equals the one on mains. Each of the three CB-R11.5 tests (Solo/Multi/OpenGL) delivers the same result. As for the GPU, the GT 640M must be selected in the Nvidia driver for battery mode. Otherwise, only the HD 4000 runs the OpenGL test. The following figure depicts different scores depending on the GPU. The GT 630M (dv7-7202eg) and HD 7730M (Inspiron 15R SE) are significantly slower than the GT 640M. 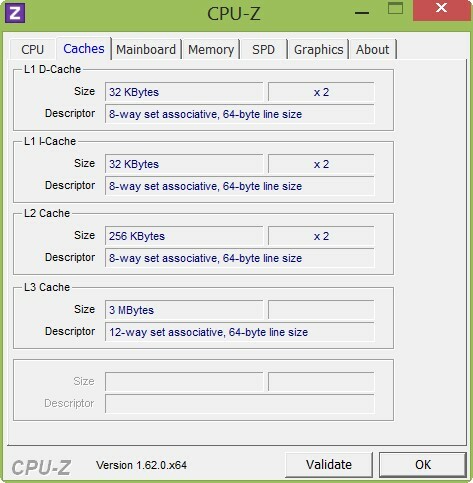 More details are available in graphics performance. The PCMark 7 rates all components and calculates a total (2,516 points). Alike the Windows performance index (5.9) the Futuremark test reveals that the HDD is a bottleneck. 1,316 points in the system storage sub score are easily exceeded by every SSD system (at least 4,000 points). By the way, the Windows 8 index does not take Nvidia's Optimus into account and displays the lower scores of the Intel HD 4000. The low performance differences between the compared devices, which are all equipped with HDDs, is surprising. 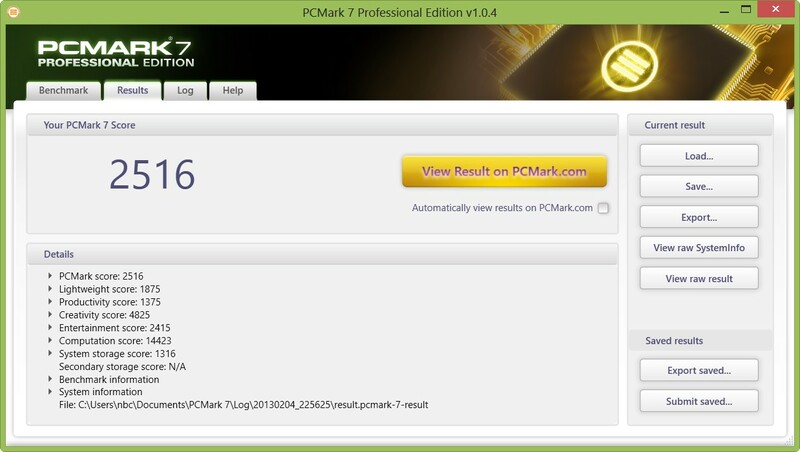 Even a quad-core does not increase the total score of PCMark 7. A GT 650M also does not, although it is about 16-22% faster than the GT 640M according to the OpenGL test mentioned above. 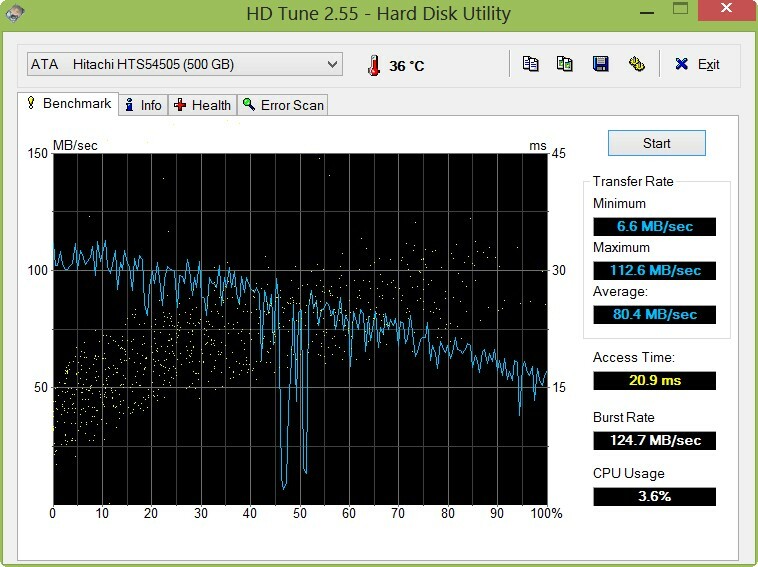 The Hitachi Travelstar does a rather good job for a slow 5400 rpm HDD. Average read transfers of 80-102 MB/s are rather decent for this type of hardware. Acer does not offer an SSD model of the V3-571G. However, there is a model with a 1,000 GB hard drive. Slow access in 4K tests (fragmented, small files) is typical for HDDs. While these achieve about 0.31 MB/s, an SSD can reach up to 10 to 20 MB/s. Further information is available in our HDD/SSD benchmark table in our FAQs. 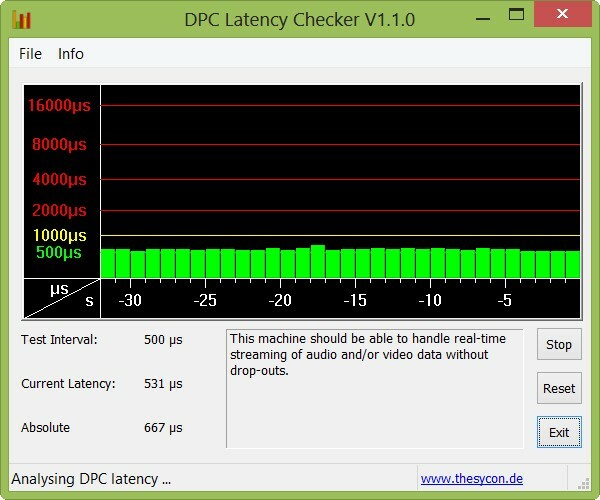 HD-Tune: 80 MB/s Read Seq. 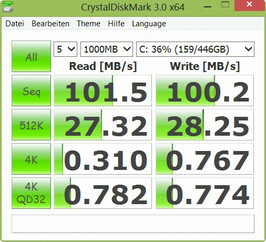 Crystal Disk Mark: 102 MB/s Read Seq. The GT 640M is a mid-range GPU based on the GK107 chip of the Kepler series (28 nm). With GDDR5 memory, the GPU would be nearly as fast as a GT 650M (former Fermi architecture). 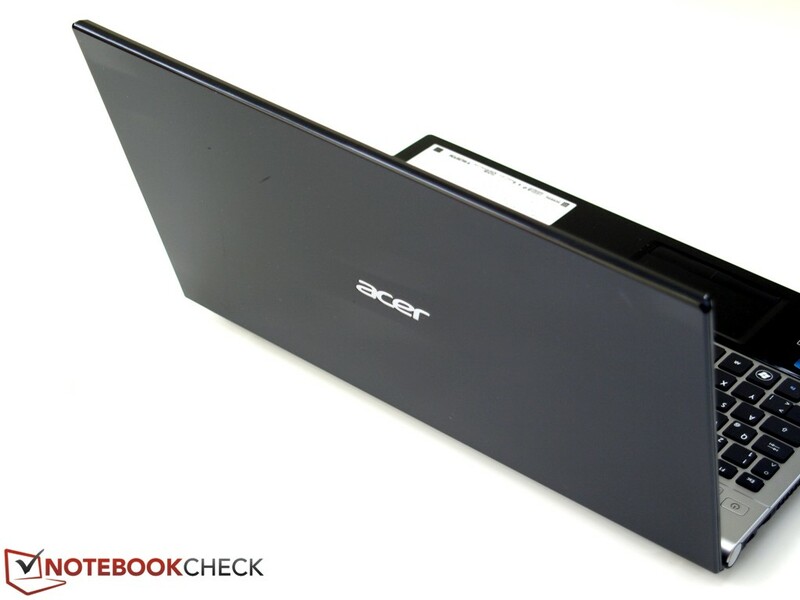 However, Acer equipped the system with 2 GB DDR3 video memory. The 3DMark 2006 ends with 10,001 points, a typical score for a GT 640M. The GT 730M performs better in this test. In 3DMark 11 it is +3% faster, which might be due to normal measurement inaccuracies, however. A detailed test of the GT 730M is available in our update review of the V3-571G-53238G1TMaii. A detailed overview about the decent gaming performance of the GT 640M is available in its data sheet. It can at least smoothly run most titles in medium details. Native Full HD resolution is only possible in non-demanding games like Dishonored, FIFA 13, Torchlight 2, or Diablo. Most other games can at best be enjoyed in HD resolution (1366x768 pixels). In our opinion, the surcharge for the GT 730M model of the Aspire V3 is not worthwhile as it just achieves equal or marginally better frame rates. Acer solves the heat problem quite well. Under normal load, e.g. a computer game or 3DMark06 (measurement), the noise increases to 35 dB (A). We measure a maximum of nearly 40 dB (A), while our processor and graphics stress tests run simultaneously. If you only surf the web or write in MS Word, you will hardly notice the fan, as it changes between off (30 dB (A), HDD base noise) and low 32 dB (A). What is audible is the clacking of the HDD read/write heads with 33 dB (A). The fan noise under load is constant and does not rise and fall annoyingly. The temperatures increase a lot under constant load. This is especially true for the stress test (processor and graphics card) and not that much for games. We measure 55 degrees Celsius (131 Fahrenheit) on the underside close to the fan. On the upper side, the central area of the keyboard reaches 46 degrees Celsius (114.8 Fahrenheit). Important: the stress test is not a reference for usual operation. While watching YouTube videos or writing emails, you will only experience lukewarm temperatures of about 30 degrees Celsius (see idle: ~30.6 degrees) (86 and 87.08 Fahrenheit respectively). During our stress test of several hours (Prime95 + FurMark, see screen shot 1), the system did not throttle (clock: 2.9 GHz). The Turbo even remained active under full load and the clock rate was always significantly higher than the base clock of 2.5 GHz. 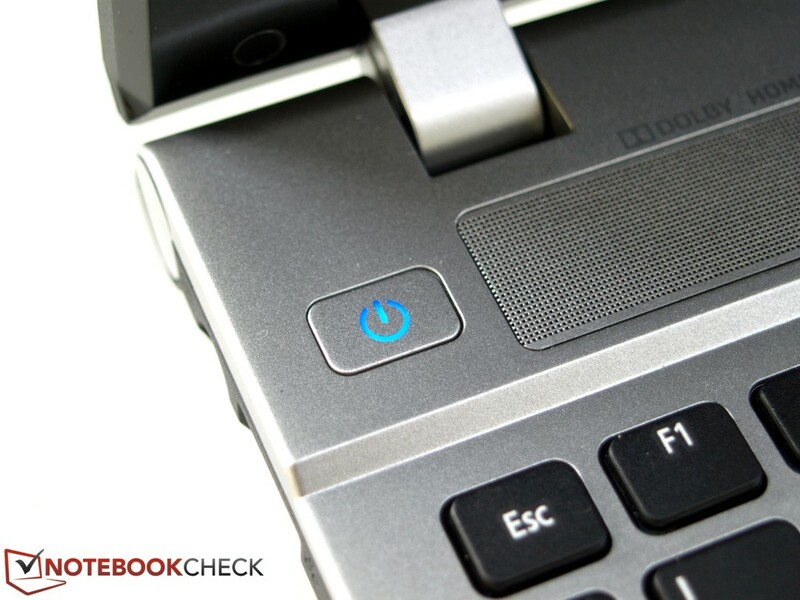 The constant energy consumption of 81 Watts (only Prime95: 46 W, only FurMark: 62 W) is another evidence that the notebook does not throttle. (-) The average temperature for the upper side under maximal load is 40.1 °C / 104 F, compared to the average of 30.9 °C / 88 F for the devices in the class Multimedia. (-) The maximum temperature on the upper side is 46.2 °C / 115 F, compared to the average of 36.5 °C / 98 F, ranging from 21.1 to 71 °C for the class Multimedia. (+) In idle usage, the average temperature for the upper side is 30.6 °C / 87 F, compared to the device average of 30.9 °C / 88 F.
(-) The average temperature of the palmrest area of similar devices was 29.1 °C / 84.4 F (-11.2 °C / -20.1 F). The automatic graphics switch Nvidia Optimus and the Ivy Bridge CPU in 22 nm, which should ensure low power consumption, at least while idle. Indeed, idle and load values are very different. This was already typical for the Intel Core predecessor generation, Sandy Bridge. In comparison to the predecessor (V3-571G-53238G1TMaii) the relatively high idle medium and maximum energy consumptions are striking. 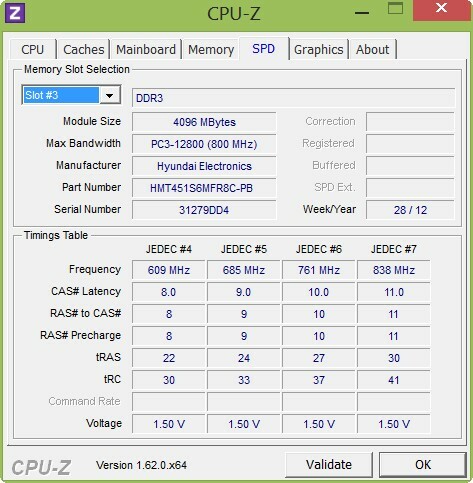 The predecessor needed, even with Ivy Bridge quad-core, only 13-14 Watts. Most likely, this is caused by the nearly 100 cd/m² brighter Full HD display. Other 15.6-inch laptops with i5, FHD panel and powerful dedicated graphics card require about the same energy: MSI's GE60 (17 Watts, FHD), Medion's Akoya P6815 (17 Watts, HD) and HP's Envy dv7-7202eg (18 Watts, FHD) are on par with their quad-cores. 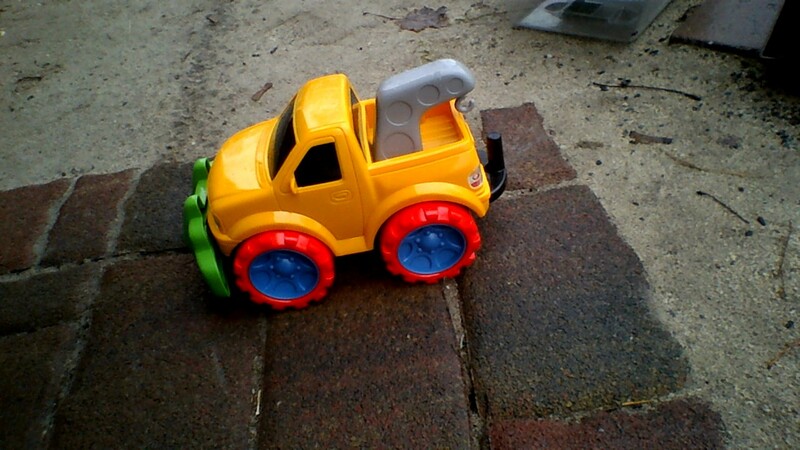 Under load, the dedicated graphics card and the Turbo demand a lot of power. We measure a maximum of 81 Watts in the stress test. On average, it is slightly lower during games or 3DMark 2006: 70.5 Watts. That's not much. Competitors with GT 650M and quad-core easily reach 110 Watts (Akoya P6815) or 106 Watts (MSI GE60). The battery life is shorter than the HD predecessor's is. 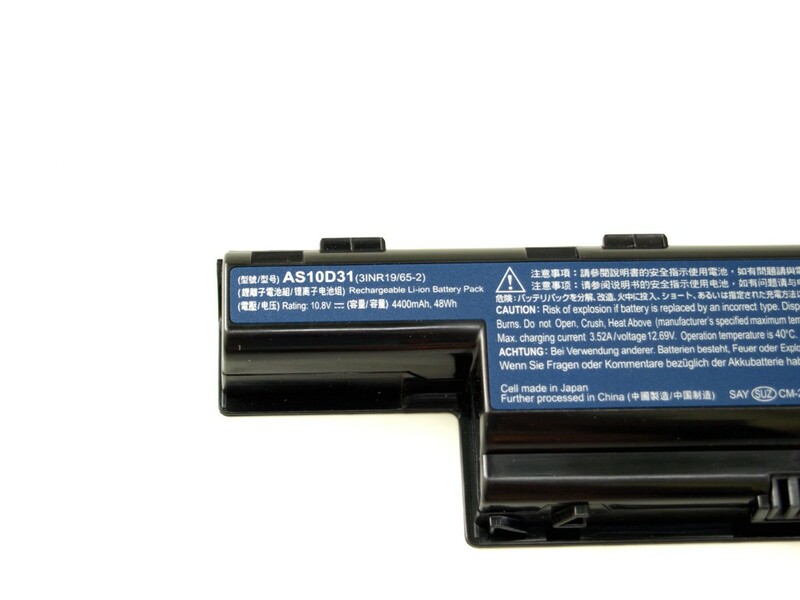 Capacity and battery model are not the reason as the same 48 Wh (Lithium-Ion) battery is used. Nevertheless, the idle runtime (Reader's test) fell from 7:27 to 3:46 hours. 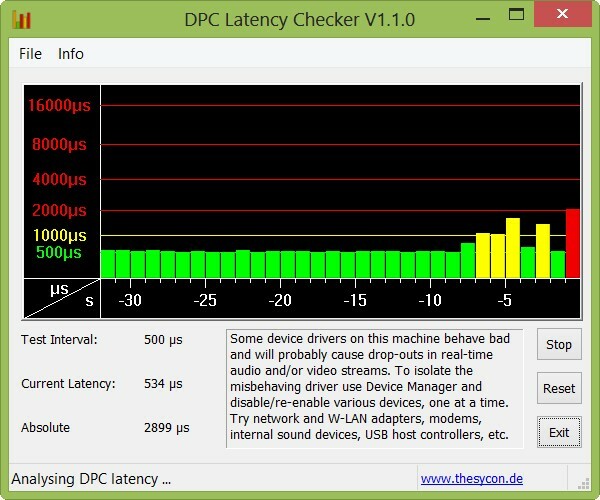 We minimize the brightness and disable the Wi-Fi modules for this test. In the WLAN test the system performs better: However, 2:49 hours are as unimpressive as the 3:16 hours of the predecessor. We set the brightness to 150 cd/m² for this test and a looping browser script loads web pages. The playback of a DVD film at maximum brightness ends after 1:39 hours on our test device (predecessor 2:58 h). This is easily explained. By default, we run this test at maximum brightness. Because of its bright FHD panel (278 cd/m²) the energy consumption is several Watts higher than our HD comparison device's (198 cd/m²). Under load, the battery runtimes are close together for the first time: The Battery Eater Classic test records 1:22 versus 1:30 hours. 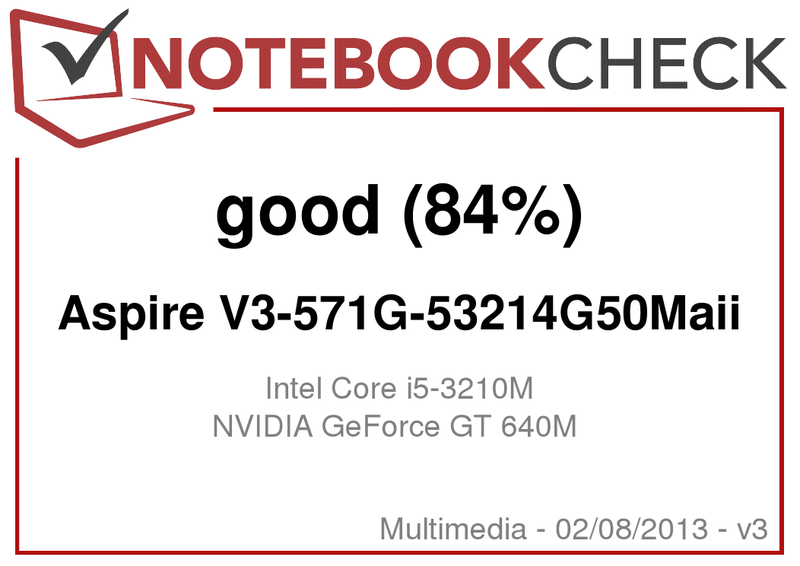 Overall, our Aspire V3 is about on par with most of its competitors, which also achieve about three hours in our WLAN test (MSI GE60, Akoya P6815, Envy dv7-7202eg). A Core i5-3210M, a GeForce GT 640M and a Full HD non-glare panel in a 15.6-inch laptop sounds like an interesting bundle and indeed it is. With the Aspire V3-571G-53214G50Maii, Acer packs a non-glare Full HD IPS panel into a mid-range laptop for the first time. Considering the price, we would even say lower mid-range. We expect the laptop to be rapidly sold out, as the current price of only 650 Euros (~$848 but increasing!) is more than attractive. The WUXGA panel (1920x1080) is really appealing: Every user will appreciate its extremely high contrast, wide viewing angles and decent brightness. This will even make you forget about the not ideal battery runtime of about three hours (WLAN test). Of course, the GeForce GT 730M in the identical V3-571G models drives down the price. However, the surcharge is not worth it, as the performance gain is too low for gamers. A test of the Aspire V3-571G-53238G1TMaii model with the GT 730M and Core i5 will follow shortly. 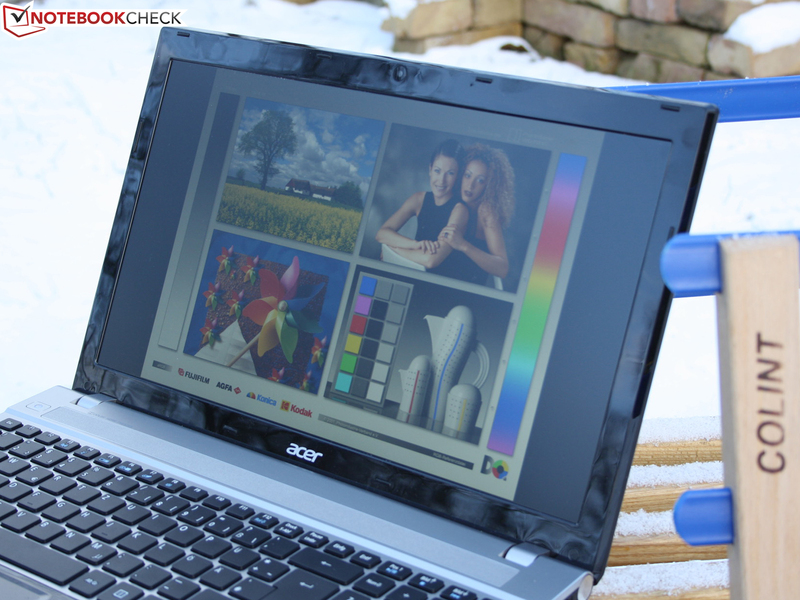 Acer's Aspire V3-571G is actually a run-of-the-mill all-purpose laptop. and the contrast was extremely low. A picture of the TN panel. The battery life fell to 3 hours in the WLAN test. But, the battery cells deliver the same capacity. The web cam delivers blurred images and lackluster colors. (1.3 MP). The stability of the case is only moderate and base unit and particularly lid can be notably twisted. Maintenance is restricted to hard drive, RAM and WLAN module. Low brightness and a glossy panel: This does not work in the sun. The glossy HD panel of the sister model was far from performing that well outdoors. So, the Aspire V3-571G-53214G50Maii is ideal for the patio in summer. with decent performance, which is not perfect in any other way. As usually, the reviewers criticized the poor contrast of the HD TN display. We only had to wait some month for a surprise. Acer incorporate a high-end WUXGA non-glare IPS panel. 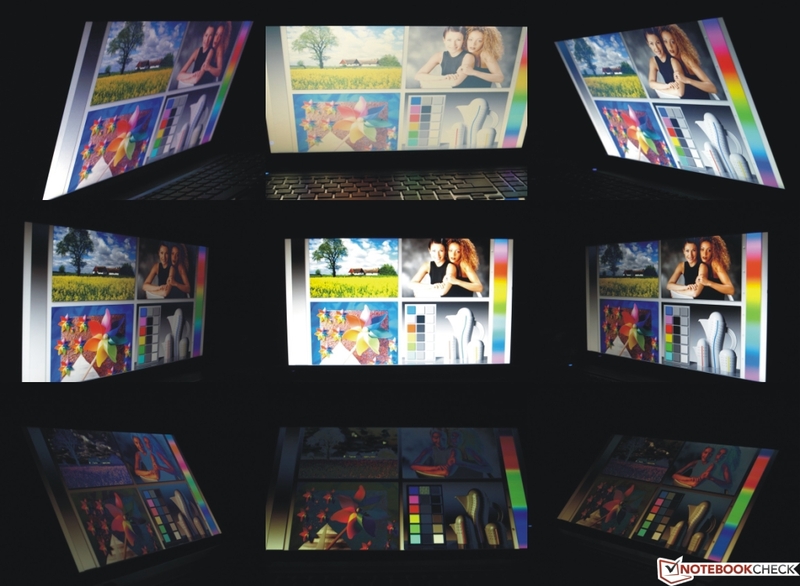 It does not only deliver wide viewing angles typical for IPS, but also an extremely high contrast. In addition, it is also bright. Matte, great colors and first-class IPS viewing angles. Finally an affordable laptop offers a display quality common in tablets. That cheap? The reviewer does not dare to complain. Prolific writers will not like the short travel of the mouse buttons and perfectionists will criticize the moderate build quality. How easy it is to read from a matte display even under daylight.